Picture this table in your garden. 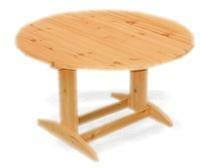 Table measures 46" round and can accommodate four chairs. Can be ordered with or without an umbrella stand cut-out in the center. Add our Garden Chairs to create the perfect backyard setting. 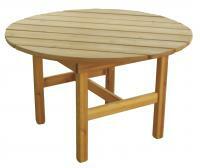 The smaller version of our Garden Table for tight spaces or when a full dining table isn't needed. Can be ordered with or without umbrella stand cut-out in center. When sitting at barstool height or standing is best! Perfect to watch all the action from lake or beachfront decks.